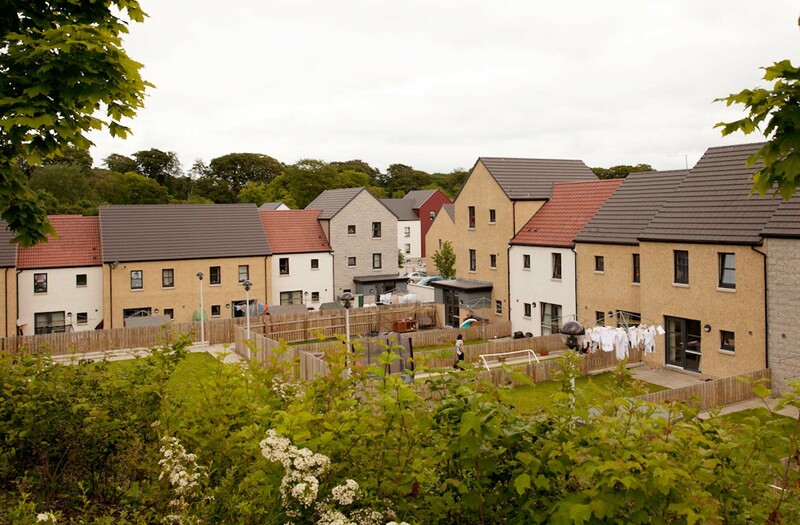 Donside Urban Village was an ambitious project to regenerate a former paper mill site to provide approximately 270 new homes constructed between 2010 and 2013. The development is a mixed tenure with low cost rental, co-ownership and private for sale properties. In addition, there is a small element of commercial office space, shops, and a “village square.” The homes are a mixture of 2 to 5 bedrooms, built in flats up to six-stories, plus town-houses and terraced courtyards, set in a home-zone streetscape, where priority is given to pedestrians over vehicular traffic. 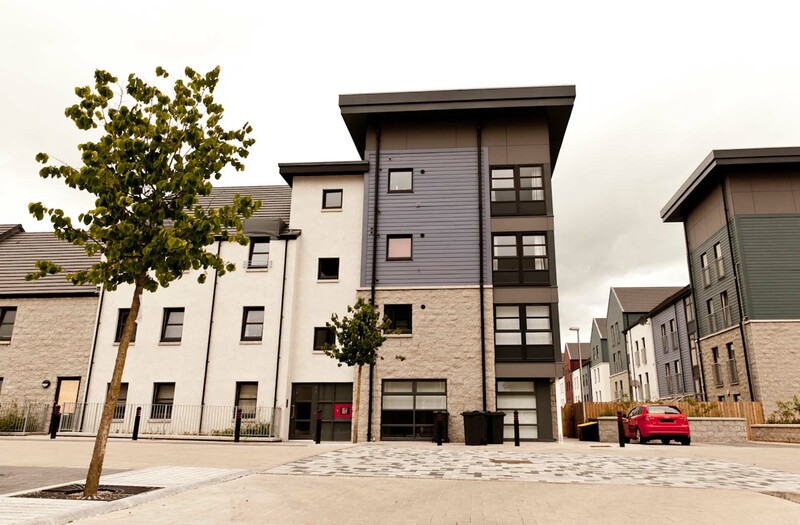 High thermal efficiency envelope construction was used throughout with a mix of timber frame and masonry construction. 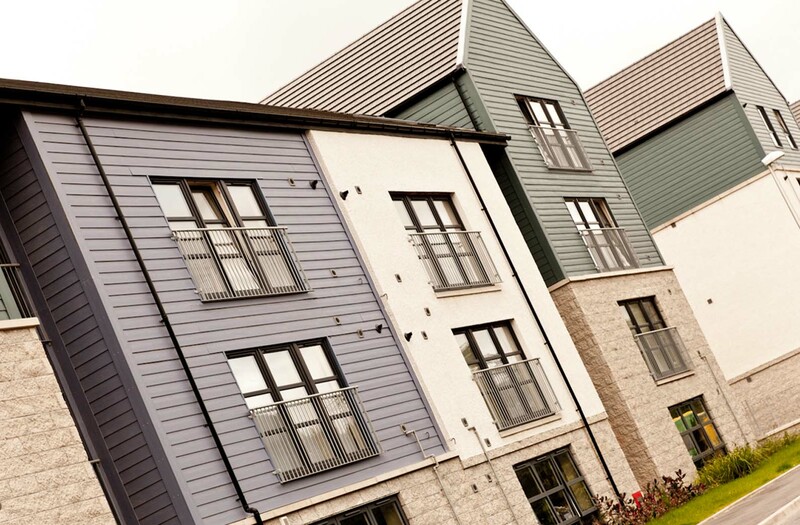 The Private element of approximately 75 homes was a Joint Venture between Tenants First and Chap Homes, and the emphasis of the development being to create a regenerated and sustainable community.